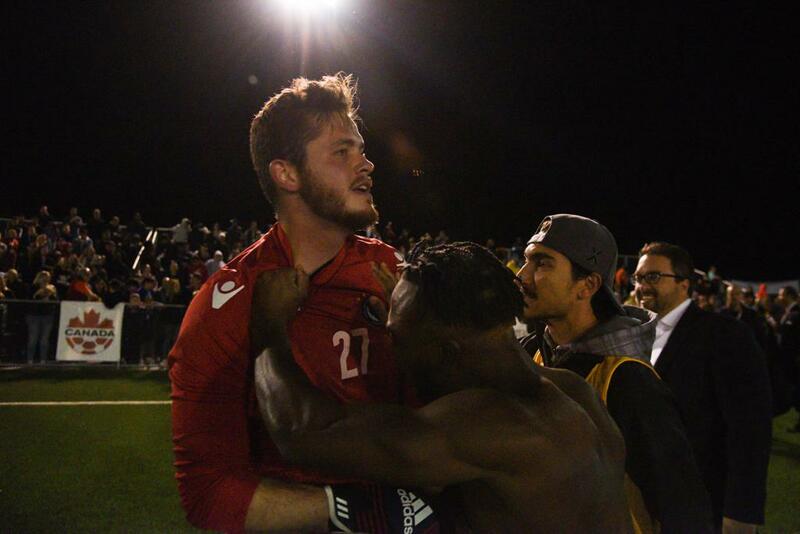 As Matt George stepped into goal for the decisive penalty kicks for the League1 Ontario Championship, he had good friends staring back at him. 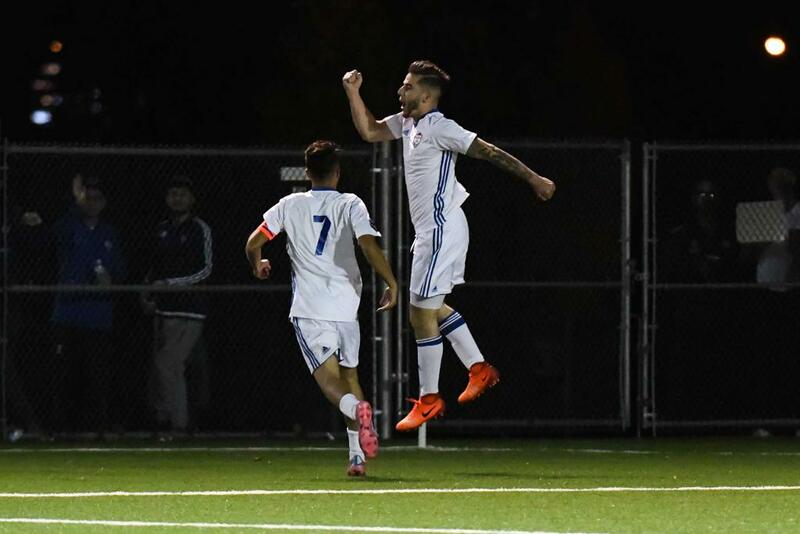 George joined the Oakville Blue Devils from the Woodbridge Strikers prior to the 2017 season and fate provided a dramatic finish between his present and his past. 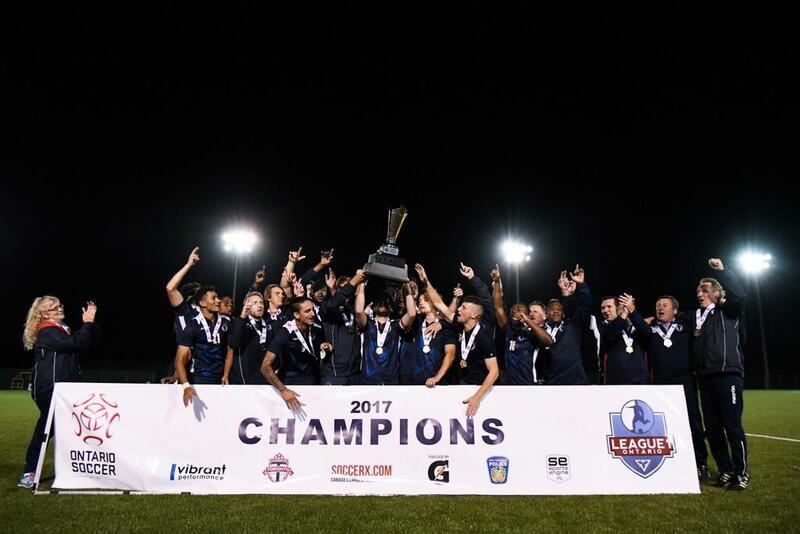 The Blue Devils won their second League1 Ontario championship after beating the Woodbridge 4-3 on penalty kicks at the Ontario Soccer Centre in Vaughan. Penalties were needed after the teams played to a 1-1 draw after 90 minutes. 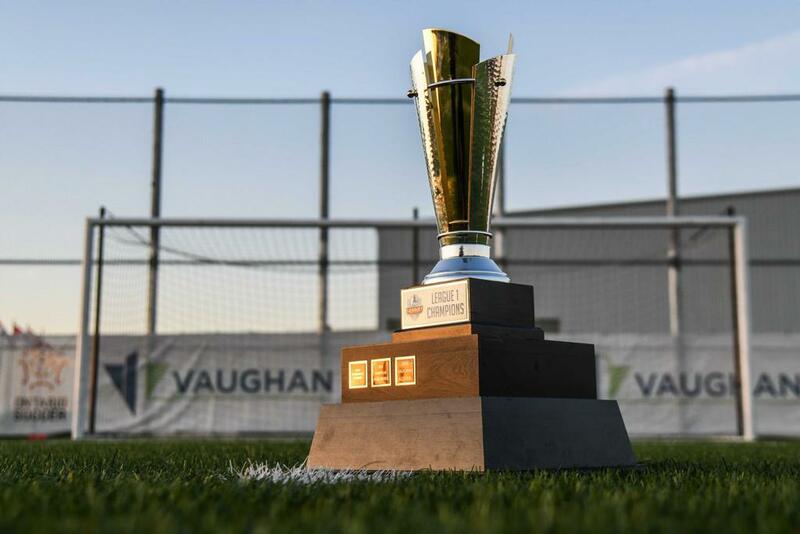 Oakville now gets to pit itself professional clubs as it will represent League1 in next season’s 2018 Canadian Championship. Woodbridge goalkeeper Quillan Roberts had given his team the advantage by saving Victor Gallo’s attempt with Oakville’s second shot. But with Woodbridge’s fourth kick, Michael Fayehun sent his attempt over the bar and then George dove to his right and denied Joshua Paredes-Procter. That gave Braden Culver the chance at a winner. Culver, who started the game on the bench, calmly stepped up and rolled a low, hard shot to his right to give Oakville that opportunity in the national spotlight as the Voyageurs Cup tournament expands next year..
Marcos Nunos opened the scoring in the 11th minute for Woodbridge and Brandon Duarte’s 66th minute equalizer meant penalty kicks were necessary. Woodbridge took the lead when Roberts drove a low, hard ball right down the middle. He had tried something similar just a few minutes prior and it caused some confusion in the Oakville back line. The second time wasn’t handled quickly again and Nunes shrugged off two defenders and slotted the ball past George. Oakville nearly replied quickly when Woodbridge couldn’t fully clear their lines. Mathew Santos hit a low, left-footed shot that just missed the post to the left of Roberts. Oakville had played a few high crosses in the first half to no success but, in the 66th minute, Filipe Vilela tried a low cross from the right side and Duarte snuck in towards the back post, got down and converted the opportunity from just a few yards out. Vilela had a final opportunity in normal time when Canadian international Stephen Ademolu played him in on goal with about ten minutes but some last gasp defending prevented his scoring chance, only conceding a corner. Visit the League1 Ontario Facebook page for all the final's photos.